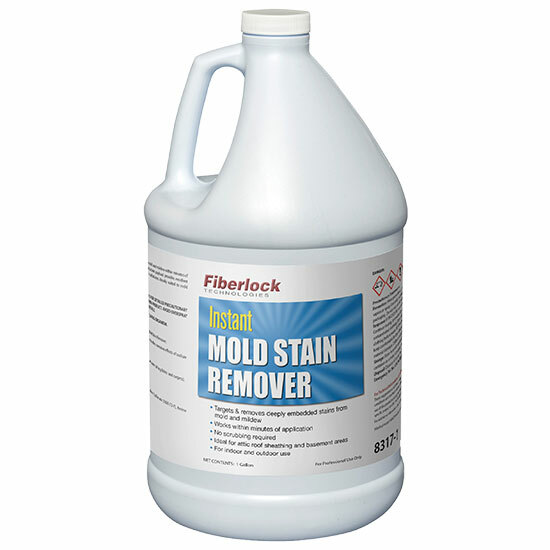 Substrate should be cleaned of all gross filth and grime prior to application of Instant Mold Stain Remover. Apply undiluted for maximum stain removal. Apply with a pump sprayer that is resistant to the corrosive effects of sodium hypochlorite. Coverage is 200-500 sq. ft. per gallon depending on substrate porosity. Contain and remove all excess overspray and drippings to avoid bleaching of non-target material (e.g. fabric and carpets). Multiple applications may be required on heavily stained material.